Today I'm joining Mia @ Make Me Up Mia and Kelli @ A Deeper Joy for their Monthly Favs link up. So here are some things I've been loving in June. I can't rave enough about this day planner. I received it June 30, so it counts for June, right? It's beautiful. It motivates me to organize more. Plan.all.the.things. The second season of OITNB came out in early June. Three days later, I had watched it all. Loved it! I mean, V totally threw a loop into the story. Now I'm anxiously awaiting the next season, which will be out NEXT YEAR?! The suspense is killing me. I wore this color a lot in June, and will continue to wear it through the summer. It's the perfect bright coral. I love these sunglasses! They are blue - not your traditional black or brown, and they're polarized for fishing. However, they have enough style for everyday wear. I bought this mug for myself in June to celebrate my first two weeks of blogging. Love it! I love all of Crystal Faye's products. So much so that I'm offering a $50 Crystal Faye gift card giveaway. Have you entered? The giveaway ends on July 9th. These little chocolate chips have helped keep me sane. When you eliminate almost all sources of refined sugar, sometimes, you just crave it. These help keep me on track. I do consider them a cheat/treat, though. You can't tell they're dairy-, nut- and soy-free. I've even melted them and dipped strawberries in them. Yummy! I love this stuff. I had to buy a refill this month because I use it every day. It's definitely not greasy and provides a sheer coverage. It feels like nothing on my face. And since the temperatures are getting hotter and hotter, this stuff doesn't melt off my face like other tinted moisturizers I've used. Wine slushies, yes please! 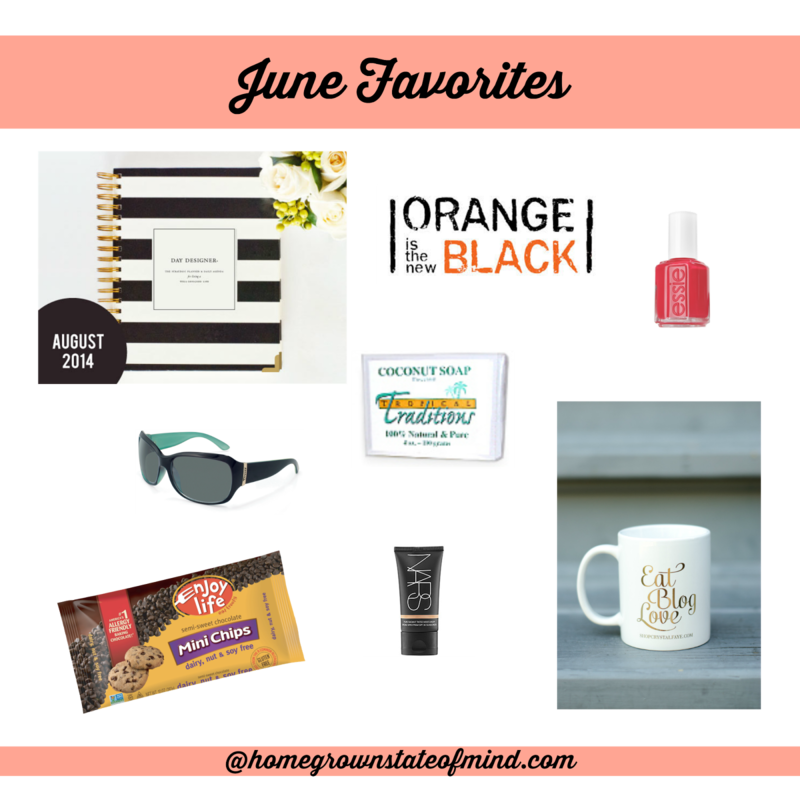 YES to the mug and planner :) I have had those Enjoy Life chips, so good! Ok, that's the 2nd time I've heard good things about the NARS tinted moisturizer, I think it's time I try.. Thanks for joining us girl! Wow! So many great things here! 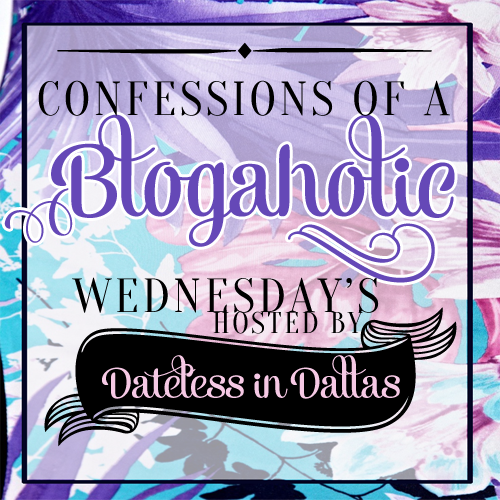 You've been blogging for 2 months and it's this awesome?! I'm super impressed! Did you have another blog before? I want to try that coconut oil soap! I've been trying natural stuff and most have a base of coconut oil so it sounds right up my alley. Love the mug...going to enter your giveaway now! And that nail color is awesome! I love wine slushies too! Never made my own but now I need to! Thanks for joining the link-up! I love the Whitney English Planner.. just not sure I could spend that much on one. Congrats on winning yours!! I've been holding off on watching OITNB but I think I'm going to cave and start season 2 soon! I've heard such great things about it! I've also heard good things about the Nars tinted moisturizer! it sounds like the perfect skin base for warmer months! I've heard so many people talking about OITNB, I will have to add it to my "must watch" list!! My mom insisted on buying the enjoy life chocolate chips- glad to hear they're not so bad :) And wine slushies!? Yes please!! Have a great holiday!! LOVE Orange is the new black! And I got a sample of NARS tinted moisturizer and loved it, definitely going to purchase full size. Yes yes yes to OITNB!! I love that planner. I have mine too!! I'm so addicted. I liked the new season but didn't love it.